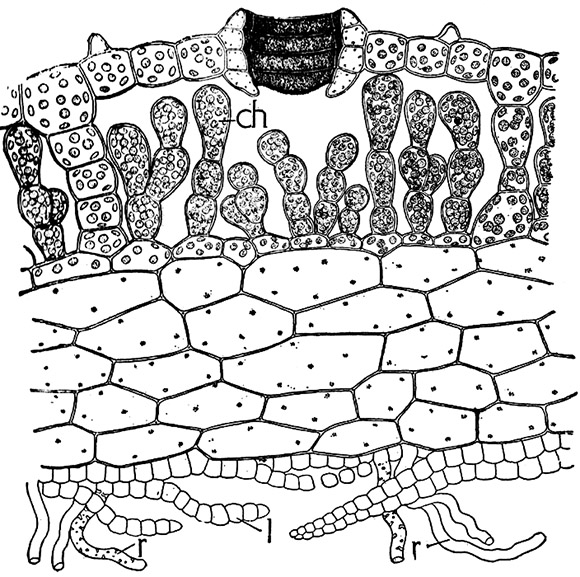 Photosynthetic cells are enclosed within chambers below the upper epidermal surface of the thallus. Specialised cells form an air pore to facilitate gas exchange and limit water loss. The lower surface of the thallus possesses scales and hair-like cells that promote uptake of water and nutrients, and can act as a reservoir. Specialised oil cells are also found interspersed within the body of the thallus.